Two years ago I publicly announced “The Abundance Projects.” This was not really when I had begun my personal experiment (or really, spiritual calling so it was), but it was finally time to tell all of my students and “followers” about it. The idea of donating at least 5-10% of your income, whether that be from your personal salary, of from a business, is nothing new. This has historically been associated with tithing to the church. I do think that supporting your congregation has great value, if you are a churchgoer, and commend you for this. But, what about donating money (or equivalent energy/time) to others on a consistent basis, whom you might not even know? The Abundance Projects has the mission of donating funds to people and projects in need. We (I say we, as in the entire Black Belt at Home/Global Martial Arts University staff, students, and customers) have been able to send nearly $10,000 to those in need over the last few years. In this article, I would like to examine if the so-called “abundance experiment” has actually been successful in my own life, for the organization, and for those who have been on the receiving end. The premise of this concept that I outlined in my original letter to all martial artists was simple – abundance means getting what you need, when you need it. This is a big shift from the thought that hoarding, saving, depletion, and selfishness is a requirement to creating a secure life. A life where you don’t have to worry about how to pay the bills this month, if there will be food on the table, if you will be able to retire someday, and so on. I wanted to see if I could truly trust that someone or perhaps, the universe, was actually watching out for me. Does doing good matter anymore? Will publicizing this and sharing this concept go against the grain of monastic-like servitude? I’d like to break this article into three sections, to really examine how living with abundance in my heart, and within the organization’s blood has affected our outcome. First, in my own life. Second, in the organization’s. And finally, in the lives of those to whom we have sent funds. I begin with a review of my own life, over the last two years. Not to prioritize myself over others, but really, because since this is so personal, I am able to more easily convey my intention. 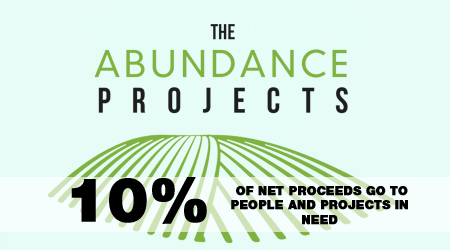 I “launched” The Abundance Projects back in early 2015. I was going through some pretty difficult times, especially with some health and physical issues that I was battling. I was also transitioning from a company that I was working so hard to pump up (BookLingual, a program that teaches children a language through reading), which was not supporting my family, to running Black Belt at Home full-time. That in its own right was a leap of faith, as it was a pretty small business, something that I did more or less on the side, rather than full time throughout the week. 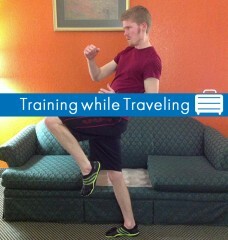 I was trying so hard to create something out of nothing, running an uphill battle (with BookLingual), when Black Belt at Home (and teaching martial arts/serving our home study students) was clearly what I was meant to be doing. I have since been running BBatHome/GMAU full time, without having to search for answers, or what to do next. Generally, people just line up knocking at the door, and I just answer, and serve them as best that I can. This makes life much happier and more rewarding. 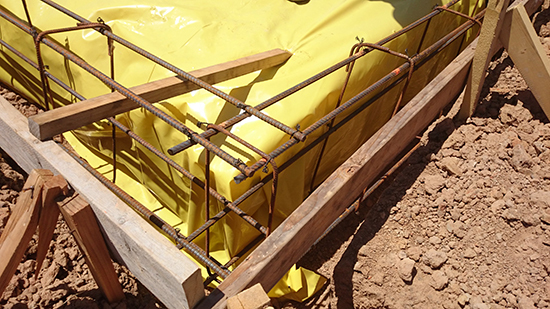 Working on the foundation of our house, in the “enjoyable” Texas summer weather. I have been blessed to be on the other side of the health issues. I went to many doctors, physical therapy, acupuncture, and so much in-between, and have finally been returning to strength. My family started building our own home, and after 1.5 years, were able to complete it. With a great deal of help, support, and energy from family members, friends, and even neighbors. It was an excruciating amount of labor; tieing rebar, digging ditches, moving lumber, buying and picking up materials, working with contractors, drywall, painting, and the in-between. We also made lunch or bought lunch for every contractor who worked on our house. We had an ice-chest full of drinks, we brought them snacks, ice cream, and anything else to help. 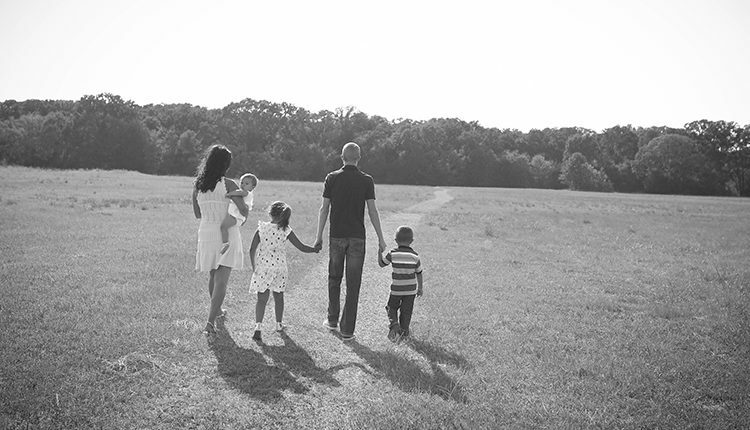 We were blessed to be able to build a home for our family. We were blessed with a gorgeous baby girl, in August of 2016. My wife (with much strength) gave birth at home, and after a scare at the hospital, she has been fine ever since. I couldn’t go without listing our healthy and happy addition to the family (we have three little ones now). Without boring you with too many more personal details, what I would like to point out is all of the moments where it seemed like we might not make it through, and we still did. It seems like a gargantuan task to build a home. Even when we ran out of money, or couldn’t do this job, or buy this item; things seemed to come in a helpful way. All the while, I did not back down on our donations via The Abundance Projects. In the times of greatest fear and thinnest resources, it was then that I knew we must continue to help others. To sum it up, my life has seemed to be in a better place since taking part in The Abundance Projects. 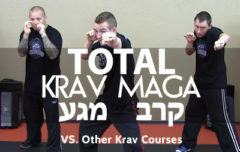 Back in 2015, we were filming and getting ready to release “Total Krav Maga”, which was an updated and heavily improved version of our original krav home study course. We made improvements to our testing process (we started doing video feedback) and introduced a student journal system, and required minimum training hours. 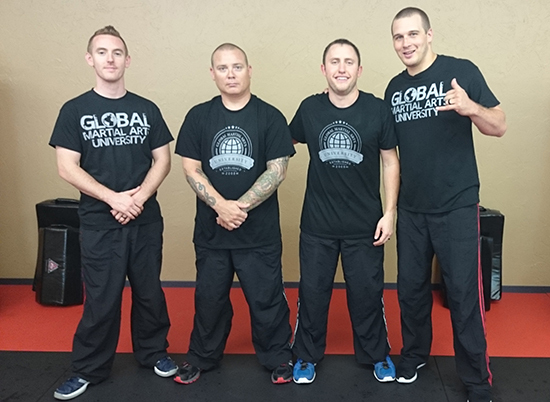 We began the initial phase of creating the Global Martial Arts University in spring to summer 2015. I knew that we could do better for our students. 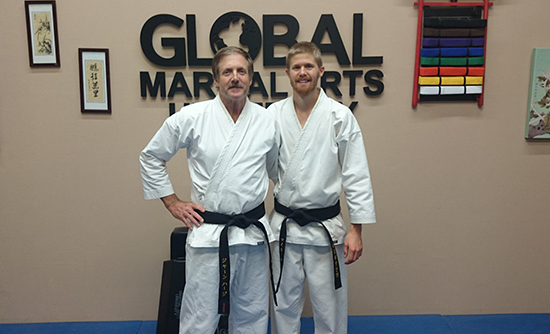 Black Belt at Home was a great idea, the courses really did have amazing video instruction, and we cared about our students, and did a good job when grading exams, but we could do better. When I was trying to figure out how to get some funds to launch the GMAU (especially hiring a good web developer, finishing out our studio, getting some new equipment), I just decided to announce to everyone what we were up to. Lo and behold, I had an Ultimate Bo student email me stating that he would build the site for us, pro bono. At first I was like, “Okay…this needs to be a very high-level, custom built site…I’m not sure if we can just take a chance like this.” It turns out the gentleman had built some very impressive corporate level sites, and was more than qualified. Another blessing of abundance! So, we decided to do a crowdfunding campaign to have students pre-enroll, and also to raise funds for other costs. Rather than simply accept the construction of the website for free, I offered to send half of all raised funds to the web developer, so, he ended up getting paid for his time. But that is not why he did the work in the first place. Fast forward to now. We have over 1,000 students enrolled in the GMAU (considering free and paying accounts), with students in more than 40 countries. Not to mention the over one thousand Black Belt at Home students who have joined courses over the years. We have filmed and added about 100 follow-along classes to this point. 100 classes! Not to mention, 30+ hours of new HD instructional material in our three courses. 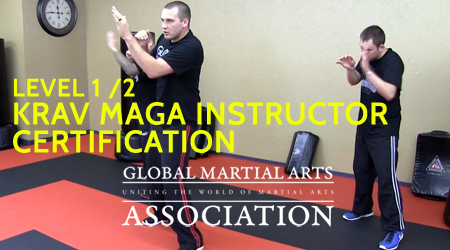 We have seen students lose weight, lower their blood pressure, gain a new level of confidence, be able to do their jobs more effectively (especially combatives instructors, law enforcement, security personnel, military personnel). 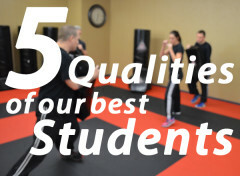 And not to mention earn rank and progress on their journeys to black belt and beyond. And, because of these students and customers purchasing courses, we have been able to help so many via The Abundance Projects. I think it is safe to say that the abundance experiment has been beneficial for the organization. What about those who have received the funds? Was it just a short-term handout, or a love-infused monetary gift that helped drive real transformation, healing, and growth? Although I have not been able to follow-up with all of the recipients, I would like to highlight a few, and where they are today. I was perusing on gofundme, looking for a recipient for some abundance funds, when I found this garden for the homeless. What an idea. 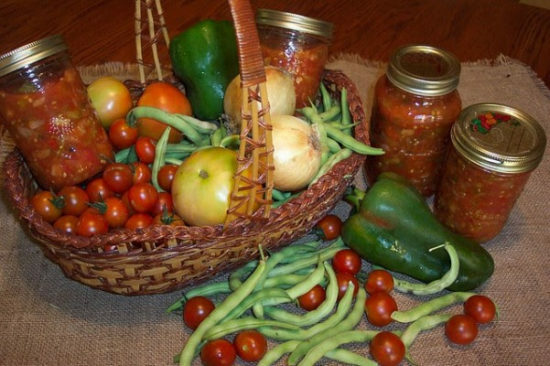 Instead of giving the weak, depressed, and challenged a box full of garbage food, this organization grows fresh produce and distributes it to those in most need. Eating fresh, raw food can bring your body back into balance, health, and even affect your mental clarity – all huge positives when you are trying to get back on your feet and sort out your life. We were able to donate funds for the purchase of some garden tools and soil. Now, they have already had more than two years of successful harvests, and are continuing to grow the size of the garden! While searching for opportunities in education, I noticed this project. Instead of just asking for books or to cover the cost of a student’s schooling, they were actually building a school, and apprenticeship program for electrical understanding. Not only do they teach how electricity works, but they end up giving students great jobs right after completing the program. I had a good feeling about Mgaya, the institute’s head instructor, after reading their project information. They have since completed the construction of their first school building, and graduated even more students into real (high quality/modern/infrastructure building) jobs! We have donated to large organization such as St. Jude Children’s Research Hospital, GlobalGiving, GiveDirectly, and other specialty charities. I have found the most gratifying assistance has been when we help specific individuals going through a crisis. Sometimes, we just need to pick each other up when we fall down. What About Our Students’ Lives? I am not just talking about how our martial arts courses have helped our students, but what about knowing that their tuition goes directly to helping those most in need? What about the students who read about abundance project updates on facebook, or even recommend certain friends or family members in need? What about those who have read my original letter? What about you? Are you feeling more generous now, are you starting to see a possible connection between an open-heart and receiving abundance in your own life? Take this as spiritual direction, as a study based in facts and reason, or as a pointless kumbaya blog post. Whichever way you take it, at least know that your consciousness has absorbed these words, and you are already more open to abundance than before you began reading. Try not to categorize charitable contributions as something that you do once a year for tax reasons. Or, in any sort of robotic fashion. Actively find others that you can support, make it a part of your weekly or monthly life. Finding individuals in need on a site like gofundme is a wonderful way to make an impact, a direct impact in someone’s life. Don’t stay stuck in the mentality, “I’ll start helping once I get my own affairs in order…once my own life is much more secure…once I get a raise…once I am a millionaire…” Start today, have faith, don’t flounder back in forth between lack and abundance. Blessings to you and your family! Thanks for the encouragement, I will do so! You are doing great things and I’m sure God is saying to you ” Well Done my good and faithful servant. In you I am well pleased.” While I don’t have much, you have inspired me to do for others. I have also brought this blog post to my pastor in hopes that others in my church will take part as well. Thank you for the acknowledgment. I am doing my best to fulfill my mission. Have a blessed day, thanks for sharing the idea of abundance! You bring faith in people back, Michael Great, really inspiring story. Thank you. JR, Glad to at least know that someone has read this article, and saw the truth of the message. I have been disheartened in the past, making a call for my students/followers to take positive action in their local communities and similar initiatives, and sometimes seen less activity than one would hope for. I will keep doing what I am doing, and I know that we have a great purpose here to spread abundance and show others that love always defeats fear in all aspects of life.